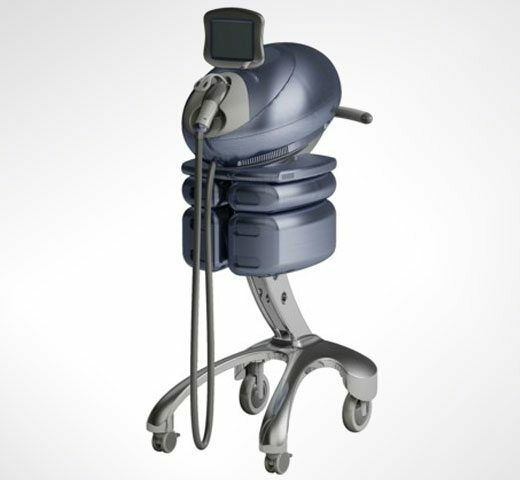 Isolaz is an FDA-approved vacuum and broadband light device that we use for treating mild to moderate acne. Generally speaking, a series of 4 to 6 treatments will be needed to get the best results. Isolaz is safe for all skin types & colors and provides an alternative option for those who have had little or no improvement with other acne treatments. Whether your acne breakouts are random or persistent, mild or inflammatory, facial or body, adult or adolescent…Isolaz can help! In addition, the device is safe for all skin types and any skin color. If you have grown frustrated with acne or maybe other treatment options have failed, Isolaz may be worth looking into. We would love to meet you for a consultation and discuss the variety of treatment options we offer. What is Isolaz treatment like? First, your skin will be cleansed & prepared prior to treatment. The hand piece will be placed against the skin and then the device will be activated. You will feel a gentle suction sensation and a warm flash of light. The hand piece will then be moved over and repeated until the entire area is completely treated. The amount of time needed for an Isolaz session will depend on the size of the treatment area, but most are no longer than 20 minutes at the most. Are there any side effects from Isolaz treatment? Any downtime? Side effects & downtime from Isolaz are minimal. The treatment is nearly 100% painless, with most feeling nothing more than a warm sensation. The majority of people who have Isolaz treatment will experience some mild redness and/or swelling, both of which resolve on their own within 1 to 2 hours of treatment. Mild bruising is also a rare but possible side effect. You will be able to return to your normal daily routine immediately following your treatments. When will I get results from Isolaz? Some results can be seen very soon after the procedure, but you will continue to see increased improvements over the series of treatment sessions.